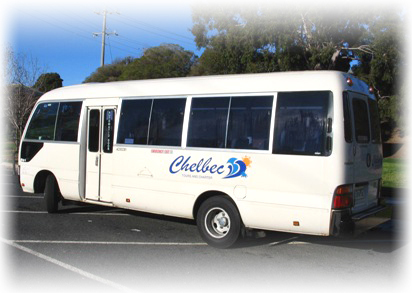 Chelbec Tours and Charter is a family owned and operated business located in the city of Wodonga, nestled amongst the beautiful vistas of North East Victoria. The company operates with buses ranging from 17 seats with wheelchair access to 49 seat buses. All our drivers are accredited and experienced, and the safety and comfort of our guests is paramount. Owner operator, Tom Griffiths, has lived in the region most of his life and is renowned for his knowledge of the local area and his “nothing is too hard” attitude. Chelbec Tours and Charter provides quality and affordable transport for any type of charter as well as some great tours of our region which will leave you with an ever lasting memory of our region and our business.